The research grant will enable the City law School Lecturer to pursue human rights studies in South Korea. 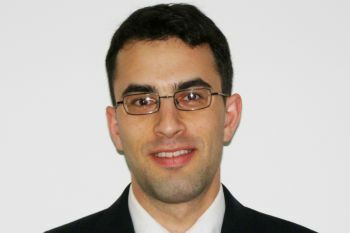 Lecturer in the City Law School, Dr Andrew Wolman, has been awarded a $15k research grant from the South Korean-based Academy of Korean Studies, to study the impact and effectiveness of a new generation of local human rights institutions in South Korea, to be followed by a half-day research workshop at City on contemporary South Korean human rights governance. The focus and methodology of Dr Wolman’s research is largely drawn from existing studies on human rights institutions at the national level, together with his own previous research on sub-national human rights implementation. Do South Korean local human rights institutions add value to the existing range of human rights institutions in South Korea (i.e. the National Human Rights Commission, courts and NGOs)? The Academy of Korean Studies was established to revitalize the field of Korean Studies by conducting in-depth research and offering education on related subjects. The AKS’ activities range from conducting research on Korean culture from both humanities and social science perspectives to educating and training researchers and higher education professionals, collecting, researching, translating and publishing Korean classics, and publishing and disseminating research results in the Korean Studies field. Its activity areas also include compiling and distributing major reference works such as the Encyclopedia of Korean Culture and the Digital Encyclopedia of Korean Local Culture, digitalizing and disseminating academic information in the Korean Studies field, engaging in cooperation and exchange activities with academic institutions in Korea and overseas and conducting programs and projects aimed at improving the international community’s understanding of Korean culture.